Jose Mourinho will be given the final say on Manchester United’s future summer tour plans following the chaotic end to the club’s two-game trip to China. United were due to land back in Manchester in the early hours of Tuesday morning following the cancellation of Monday’s derby clash against Manchester City in Beijing as a result of adverse weather leaving the pitch at the Bird’s Nest Stadium in an unplayable condition. Senior figures from both clubs and match organisers, Relevent Sports, decided to call the game off less than six hours before kick-off amid concerns of players suffering serious injury on the uneven pitch. But while United executive vice-chairman Ed Woodward and City chief executive Ferran Soriano both insisted that the clubs would return to Beijing in the future, it is understood that United will not sign off any overseas tour or friendly without first securing Mourinho’s agreement. United had travelled to China for the first time in four years to play games against City and Borussia Dortmund, with the Far East trip bring welcomed by their major sponsors, Chevrolet and Aon. Issues with the climate, travelling problems and the cancellation of the game in Beijing have done little to promote China as a future destination for summer tours, though. 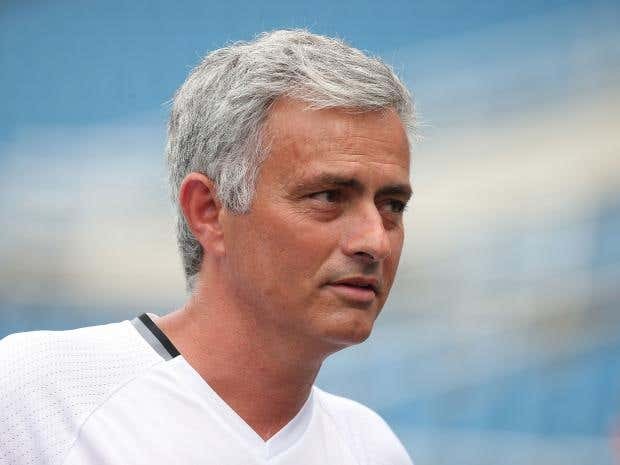 However, no plans have yet been drawn up for next year’s pre-season tour and Mourinho will be included at every level of discussions before a destination is signed off. After embarking on a gruelling three-week tour of Australia and the Far East under David Moyes in 2013, United signed a contract with Relevent Sports to tour the United States for the following two summers as part of their International Champions Cup tournament. No deal has yet been agreed for the summer of 2017, however, and offers to visit North America, Asia and South Africa will be considered before Mourinho decides on the best option for his squad. The former Chelsea manager has expressed a preference in the past for trips to the States due to the quality of training facilities in the country – United have previously used the training grounds of NFL clubs such as the Seattle Seahawks and Philadelphia Eagles. But when United toured the US under Louis van Gaal in 2014, the Dutchman complained about the draining effects of the heat and traffic in Los Angeles and altitude in Denver before tailoring the 2015 tour to suit his requirements. United visited South Africa three times under Sir Alex Ferguson, with the Scot believing his squad benefited from the climate and lack of time zone issues when playing in Johannesburg, Durban and Cape Town. But although the most lucrative and commercially-beneficial destinations have proven to be the States and Asia, United have not ruled out a return to South Africa should Mourinho regard the country as the provided the best conditions for his squad to prepare for a Premier League season.